Roy Williams will be a free agent at the end of the season, and from the sounds of it, he won’t be in Motown in 2009. Williams was quoted in the Chicago Tribune as saying the following about his feelings of coming back to Detroit in 09: “My plans are to finish out this season,” Williams said. “I know the trade deadline is coming up in two weeks, I believe. 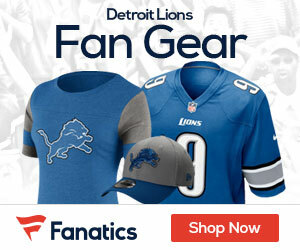 My mind-set is I’m going to be a Detroit Lion for the next 13 weeks.” Be a Lion for 13 weeks – and that sounds like it. Williams could easily be the biggest free agent WR on the market, and there are going to be teams that need wide outs – like the Bears, Eagles, Vikings, Dolphins and more. Williams will be a very rich man come March of 09.